The 6300 Series ComboSource Laser Diode Controller offers the best of both worlds: a high accuracy, low noise, dual-range Arroyo laser driver combined with a powerful 60W precision temperature controller, coming together as our flagship product. The ComboSource laser driver includes the standard safety suite: a safety interlock, ESD protection, and hardware limit circuits for current and voltage. 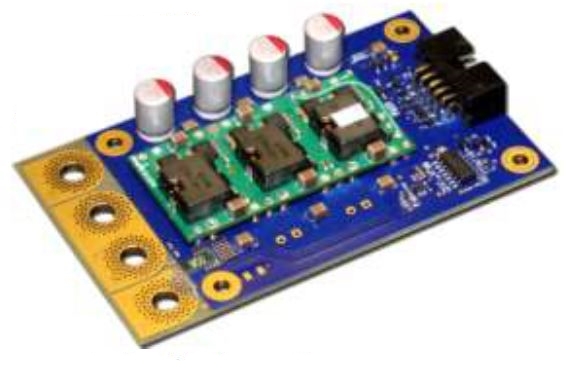 Dual range allows this Arroyo laser driver to operate at half-scale for improved resolution. 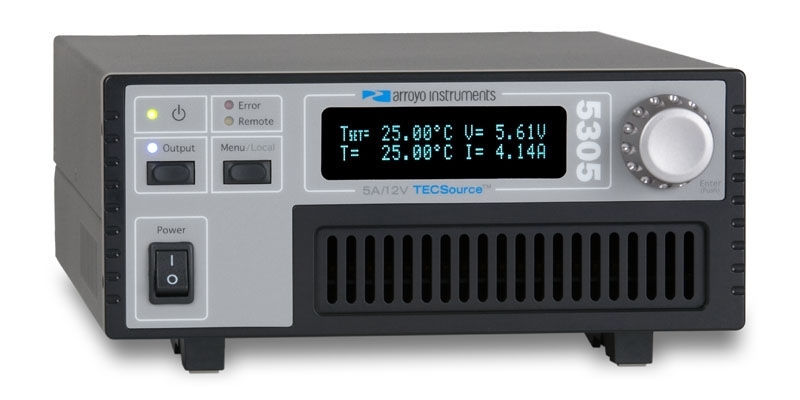 The ComboSource temperature controller supplies 60W of TEC control and supports all common sensor types (thermistor, RTD, AD590, and LM335), including a 4-wire RTD mode. 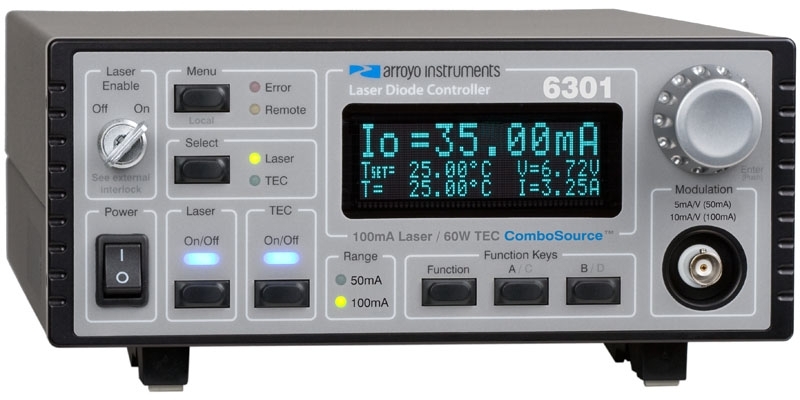 With the same excellent stability and performance as our popular 5305 TECSource, the ComboSource laser diode controller supports a broad range of laser and temperature control applications.